We're at CP+ 2019, where Tokina is showing its latest high-quality zoom lens for full-frame cameras, the Opera 16-28mm F2.8 FF. Lens manufacturer Tokina has officially released details, price and on-sale dates for the Opera 16-28mm F2.8 lens it first showcased at Photokina in back in September. 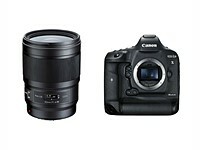 Expected to ship mid-March in Canon EF and Nikon F mounts, this wide-angle zoom will cost $699. The Opera designation is reserved for Tokina's most premium lenses, built for high resolution full-frame DSLRs. The 50mm F1.4 is the first in this lineup to come into production – take a closer look. Pricing and availability have been announced for Tokina's high-end Fírin 20mm F2 FE AF autofocus lens for Sony E-Mount. 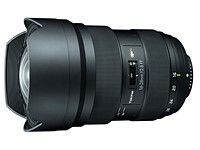 If you're curious about this lens, you'll be able to pick up your own starting in June for $950 USD. Tokina has recently released the 50mm F1.4 'Opera' and FíRIN 20mm F2 AF lenses, and we stopped by their booth at CP+ 2018 to get a feel for them. Full-frame Canon and Nikon shooters have a new 50mm F1.4 lens to consider. 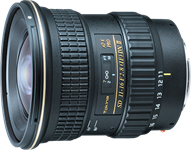 The Tokina 50mm F1.4 FF features an ultrasonic motor, weather-sealed design, and a focus ring that rotates the same direction as native Canon and Nikon glass. The Tokina FíRIN 20mm F2 FE AF is a followup to the MF version released in 2016, which adds (you guessed it) autofocus capabilities. Optically, the two lenses are identical. 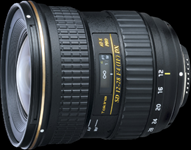 The Opera 50mm F1.4 FF is a full-frame lens for Nikon and Canon mounts, while the FíRIN 20mm F2 FE AF for Sony E-Mount replaces the FíRIN 20mm F2 FE MF announced in September of 2016. Kenko Tokina has launched the Tokina AT-X 14-20mm F2 Pro DX lens for Canon and Nikon DSLRs with APS-C sensors. This ultra-wide zoom has a pair of super low dispersion elements, nine aperture blades, a one-touch focus clutch mechanism and internal focusing. Read more. Tokina has officially announced its first optically-stabilized lens - the AT-X 70-200mm F4 PRO FX VCM-S telephoto zoom. Designed for use with full frame SLRs, it has a ring-type ultrasonic motor for autofocus, and the voice coil motor-driven IS system promises three stops of stabilization. When used on APS-C / DX format SLRs, the lens will offer a 105-300mm equivalent zoom range. It will initially be available in Nikon mount, and will go on sale in Japan at the end of May for ¥150,000. Tokina has announced that its highly-regarded AT-X PRO 11-16mm f/2.8 DX II fast wideangle zoom for APS-C SLRs will be available in Sony Alpha mount from the start of next year. 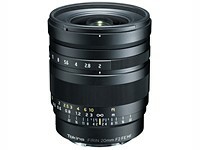 The 'type II' version adds improved coatings compared to the previous model of the lens. The design is otherwise unchanged, with the same optics and useful 'one touch' focus clutch mechanism. 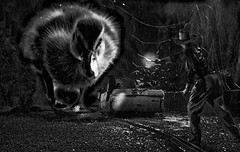 Click through for full details. The ever-increasing video capability of digital SLRs has seen manufacturers such as Canon, Samyang and Zeiss make video-optimised versions of their conventional lenses, and now Kenko Tokina is getting in on the act. 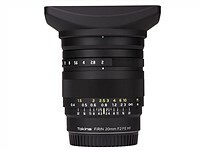 The Tokina 16-28mm T3.0 is a manual focus version of the AT-X 16-28mm f/2.8 Pro FX wideangle zoom, with a redesigned barrel that features the usual refinements for video work, including geared focus, zoom and aperture rings, and scales designed to be read from the side of the camera. It'll be made in Canon EF and Arri PL mounts, with a suggested retail price of ¥580,000 - almost 5 times that of the lens it's based on. Tokina has announced a US price of $599 for its AT-X 12-28mm F4 Pro DX lens. Soon to be available in both Canon and Nikon mounts for APS-C bodies, this lens was announced at the CP+ tradeshow back in January and will replace the company's existing 12-24mm F4 wideangle zoom for APS-C cameras. 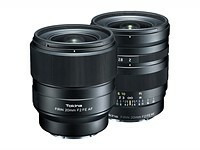 Tokina has announced it will be exhibiting two soon-to-be-released lenses at the CP+ trade show in Japan. The AT-X 70-200 F4 PRO FX VCM-S is a telephoto zoom that's designed for use on both full frame and APS-C SLRs, and features both optical image stabilisation and a ring-type ultrasonic autofocus motor with full-time manual override. Meanwhile the AT-X 12-28 F4 PRO DX is a replacement for the company's existing 12-24mm F4 wideangle zoom for APS-C cameras. But rather than making the lens wider to match its competitors, Tokina has chosen to extend it further into the 'normal' range, to give an 18-42mm equivalent zoom. Kenko-Tokina has added the mirrors back into mirrorless with the launch of an ultra-compact Reflex 300mm F6.3 for Micro Four Thirds. This fixed-aperture, manual focus lens revives the catadioptric lens design that was especially popular in the 1970s and '80s for producing small high-magnification telephoto lenses. With a 55mm filter diameter and weight less than 300g, this is possibly the smallest lens of this type that's ever been made for stills cameras. The spec is rounded-off with a minimum focus of 0.8m and 0.5x maximum magnification, making the lens potentially interesting for chasing insects and the like, just as long as you can hold it steadily enough. Tokina has announced an updated version of its highly-regarded 11-16mm F2.8 wideangle zoom for APS-C SLRs. The AT-X 116 PRO DX II adds a 'Silent Drive-Module' (SD-M) focus motor that enables it to autofocus on all Nikon SLRs. 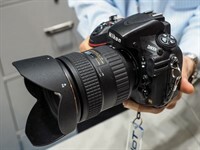 The latest version also includes improved surface coatings (which are particularly important for wide-angle lenses) and adds a 'GMR' sensor to locate the focus element's current position, to speed up autofocus - a technology first introduced on the AT-X 16-28 F2.8 PRO FX full-frame wide-angle. US distributor THK Photo tells us the Nikon version should be available around April with a Canon version following around August. Tamron and Tokina have joined the Micro Four Thirds group, meaning all three major third-party lens makers are likely to produce optics for the system. No further details of their intentions have been given. 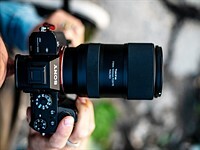 The announcement comes just after Sigma announced its first lenses for both Sony's E-mount and Micro Four Thirds - both lenses that we think make more sense on APS-C than the Micro Four Thirds format. 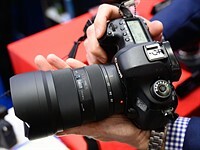 It will be interesting to see whether Tamron and Kenko Tokina develop lenses specifically for the smaller format. Meanwhile high-end video manufacturer Astrodesign has also joined the consortium, and released a Micro Four Thirds mount 4K video camera head. There are a huge number of lenses available from third-party manufacturers that at least match, and sometimes exceed the quality of more expensive alternatives from camera manufacturers. 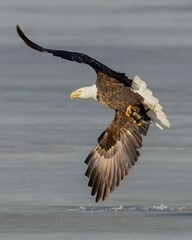 In this roundup, we highlight ten of the most interesting for enthusiast photographers. Kenko-Tokina has announced a variable neutral density (ND) filter that can be adjusted fro ND2.5 to ND1000. The Kenko NDX filter can darken the scene by anywhere from 1.3 to 10 EV. The filter allows the use of wide apertures while keeping the correct exposure within the shutter speed range of your camera, or of very long shutter times to emphasise motion. 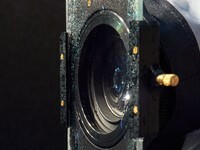 The company suggests its use for shooting video with shallow depth-of-field, for instance. Its variable nature allows the amount of filtration to be reduced for focusing, then increased to the desired amount, without having to remove the filter. 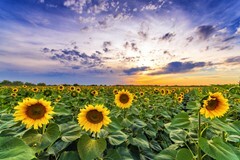 The filters can vignette when used with lenses wider than 28mm equivalent and are available in 77mm and 82mm filter thread sizes. 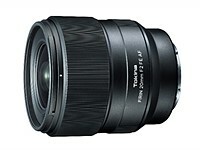 PMA 2010: Lens maker Tokina is set to produce a 16-28mm F2.8 ultra wide angle zoom lens for full-frame DSLRs. 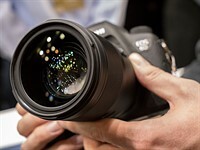 The lens, called the SD 16-28 F2.8 (IF) FX is being shown in mockup form on the stand of US distributor THK at the PMA show in Anaheim, California. Specifications and availability are as yet unknown. 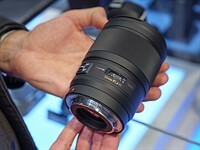 Tokina has launched its first lens in Sony's Alpha mount. The AT-X 116 Pro DX 11-16 mm f/2.8 lens will be available in Japan from from February 24th, 2010 at an approximate retail price of ¥94,500 (around US $1046). This announcement means Tokina becomes the last of the big three third-party lens makers to support the Sony format. Just posted! 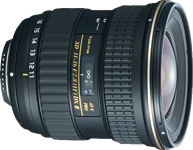 Our new lens review featuring the Tokina AT-X PRO SD 12-24mm F4 ED (IF). Continuing our series examining ultra-wideangle zooms, we take a look at Tokina's five year old offering in this popular category. Can it still compete with newer designs, or does its relatively narrow angle of view compared to 10mm zooms rule it out of serious contention? 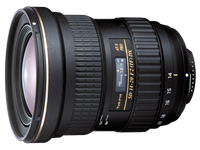 The Tokina AT-X Pro SD 12-24mm F4 (IF) DX is a member of an original triumvirate of third party wideangle zooms which were introduced just as affordable APS-C format DSLRs started to become mainstream products, along with the Sigma 10-20mm F4-5.6 EX DC HSM and Tamron SP AF 11-18mm F4.5-5.6 Di-II LD Aspherical (IF). It first became available in 2004, and has since acquired a reputation as solid performer in its class. Tokina's technical details for the lens are (typically for the company) somewhat sparse, but reveal an optical formula of 13 elements in 11 groups, which features 2 aspherical elements plus SD glass elements to combat aberrations. One other outstanding feature is a one-touch focus clutch mechanism, which allows the user to switch from auto to manual focus simply by pulling the focus ring towards the camera. 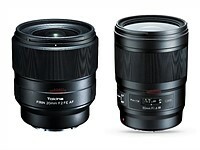 Tokina 16.5-135mm F3.5-5.6 DX coming soon? Tokina's US distributor, THK, has announced the long-awaited AT-X 16.5-135mm DX F3.5-5.6 will be available in the summer for Canon and Nikon mounts. The lens, which gives an unusually wide angle of view for its class, has regularly appeared at trade shows as far back as the P.I.E 2007 show in Japan. It gives a field of view roughly equivalent to 25-200mm in 35mm terms (dependant on system), and will be available in Nikon mount from June this year, with the Canon variant following a month later, according to THK. Tokina has announced a new macro lens for Canon and Nikon crop sensors, the AT-X M35 PRO DX. Equivalent to a 53.5mm focal length on Nikon DX and 56mm on Canon APS-C, this lens revives the 'normal' macro segment which has been sadly absent in recent years, at least for crop sensors. A focus limiter is present, accelerating operation when used for regular photography, and Tokina's Focus Clutch design makes switching from automatic to manual focus a snap - literally. 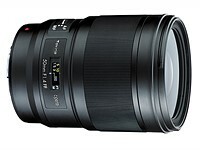 The lens is due to be available from December 21st at a price of ¥68,000 (approx US $600). 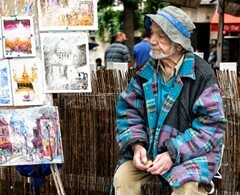 Pricing and availability for markets outside Japan are yet to be announced. Another interesting lens announced by Tokina is the AT-X 116 Pro DX, a wide zoom for Nikon and Canon crop sensor cameras boasting a focal length of 11-16 mm and constant f/2.8 maximum aperture. Whilst the zoom range is not exactly what you might call extensive, this lens is likely to generate considerable interest with its 17-25 mm approx. equivalent focal length (on Nikon DX, Canon APS-C users will get around 18-26 mm). Priced at ¥90,000 (around US $800), the lens will be available in Japan from December 21st.